Made of very soft organic calf leather. 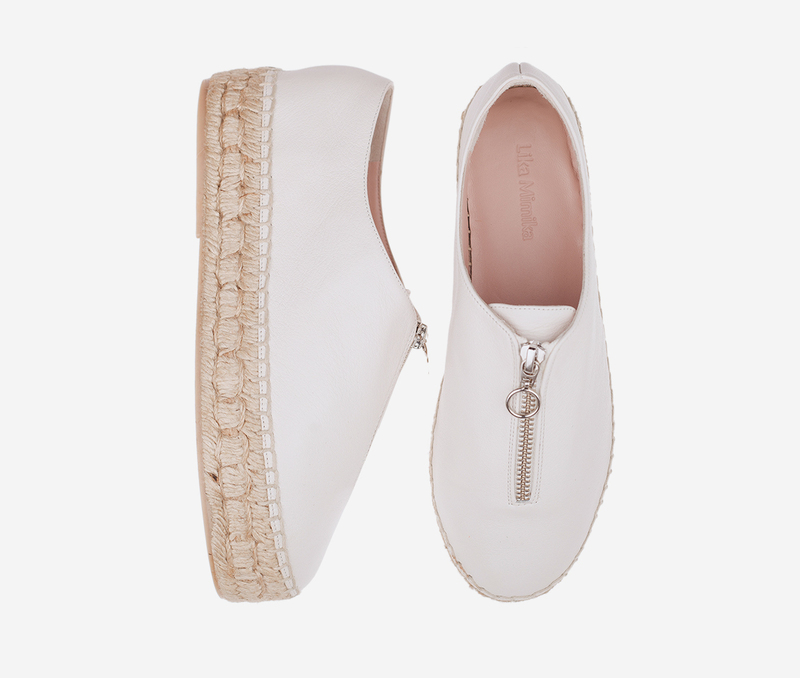 The inner lining consists of premium natural organic goat leather. Very skin friendly and breathable - no chemical colors! Plateau jute Sole. Round Toe.